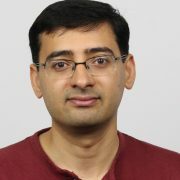 I am a researcher in the Mobility, Networks, and Systems group at Microsoft Research India. My work is in the area of Mobile Systems and Wireless Networking. I received my Ph.D. in Computer Science from the Stony Brook University in 2007. Bing Snapshots press — Wired, Verge, etc. The summit brought together researchers from academia and industry, and representatives from the government and service providers, to discuss the technical and public policy issues pertaining to expanding data connectivity in India and other emerging regions.